How to prepare your home and backyard for your new hot tub. To prepare for the delivery of your hot tub, make sure the delivery path is clear and no obstructions are present. Obstacles such as overhanging tree limbs, awnings, protruding gas meters, water meters, and A/C units can prevent easy access. It may be necessary to remove a gate, part of a fence, or other items in order to dolly the spa to the desired location. If there are more than six consecutive stairs without a landing, you may be required to find another delivery path. Check the measurements on 90◦ turns to make sure the spa will fit through. Occasionally a crane is required to install the spa by lifting it to its final destination. This occurs when the spa has to be taken off of the dolly cart to go over a wall, either because the entry area is too narrow, the eaves are too low, the corner is too tight, or the stairway is too steep. The use of a crane is a common practice and is usually the easiest and safest method for moving a spa when access is difficult. The crane has a truck-mounted boom and can fit easily in your driveway. The Crane Operator will lift your spa over walls, buildings, or any other obstruction and place it as close to the installation site as possible. A - Obstacles such as overhanging tree limbs, awnings, protruding gas meters, water meters, and A/C units can prevent easy access. B - WARNING: Watch for power lines. C - It may be necessary to remove a gate, part of a fence, or other items in order to dolly the spa to the desired location. D - Check the measurements on 90◦ turns to make sure the spa will fit through. E - If there are more than six consecutive stairs without a landing, you may be required to find another delivery path. 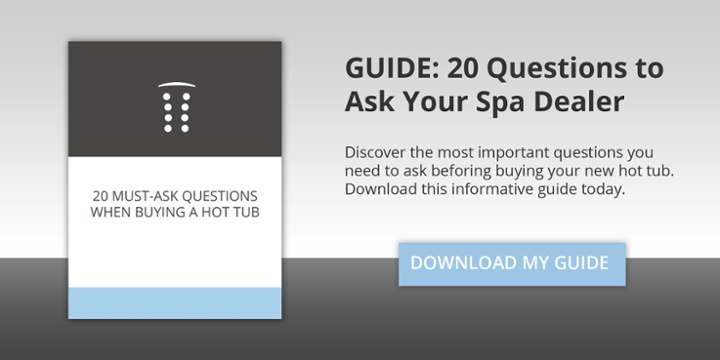 Download the technical dimensions, layouts, and wiring entry point diagrams for all Bullfrog Spas and STIL spa models here. Surroundings: The direction that your spa will be facing will contribute to your overall bathing experience. Select the spa location that will provide optimal views based on your property layout. Consider your lifestyle and where you want to enjoy your spa and situate it accordingly. Indoor installations provide privacy, but create high levels of humidity (see Indoor Considerations). If your spa is outside, a nearby place for you and your guests to change clothes is a huge convenience. Also, a location near a house entry is convenient in areas with extreme winter climates. Indoor Considerations: Indoor spa installations have special requirements. Your Bullfrog Hot Tub is the most leak-free spa in the industry, but there is still a chance of a leak from the spa. The environment both around and below the spa should be water resistant, and preferably waterproof. It must be capable of handling water splashed out from the spa as well as the possibility of a leak. Recommendations to handle water around the spa include, but are not limited to, a floor drain and/or a catch basin equivalent to the volume of water in your spa. Condensation can also occur on the spa cover and drip onto the floor. Therefore, ensure that flooring materials provide a good grip when wet and are resilient to constant exposure of water and chemicals. In addition to handling the water from the spa, it is recommended that the room be properly ventilated. Humidity levels will naturally increase after the spa is installed and in use. Water may get into woodwork and produce dry rot, mildew, or other problems. Over time, high levels of humidity and spa chemicals can cause water damage to your floor, wall, and ceiling surfaces. Check for airborne moisture’s effects on exposed wood, paper, and paint in the room. To minimize humidity damage, it is best to provide plenty of ventilation such as a ceiling fan and moisture-resistant paint. An architect can help to determine if special ventilation equipment is required, such as a humidistat or dehumidifier which can be installed to regulate indoor humidity during spa use. NOTE: Typical indoor surfaces include, but are not limited to concrete, wood, non-slip tile, or linoleum. Outdoor Considerations: There are several considerations when installing your spa outdoors. Avoid selecting a site where excessive water may contact the spa, such as sprinklers or a roof edge without rain gutters. Avoid areas of direct, prolonged sunlight (if possible). The ultraviolet rays may fade or damage the spa cover and cabinet. Check all applicable national and local codes regarding possible restrictions that require fencing or childproof gates around the spa. Prevent dirt, sand, and foliage from being tracked into your spa by utilizing concrete, concrete pavers, or stone for paths and access areas (or, avoid positioning your spa in an area where debris will be tracked into the spa). Check the location of trees and spill paths from gutters to determine if wind or rain will sweep debris into your spa. Consider your view and your privacy during all seasons of the year so your experience in your outdoor spa will be enhanced rather than limited. NOTE: Typical outdoor surfaces include, but are not limited to concrete, brick, non-slip tile, wood decking, pea gravel, or sand. Service Access: Some people choose to install tile or custom wood around their spas. If you are installing your spa with custom trimming, remember to allow access for service. Should your spa need service, a technician may need to remove the spa’s equipment compartment door or side panels, or access the spa from beneath. Also, it is always best to design special installations so the spa can still be moved, or lifted from the ground. Access to Circuit Breakers: For service purposes, allow easy access to the circuit breakers in the electrical service panel (permanently-connected models), or to the interrupter switch on the end of the power cord (cord-connected models). 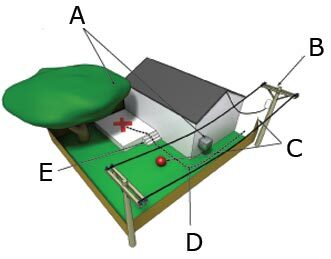 Overhead Power Lines: Based upon the national and local wiring rules that apply to your area, you will need to install your spa at the required minimum horizontal and vertical distances from all power lines. Service Disconnect: Based upon your area, a disconnect device must be incorporated into the fixed wiring in accordance with national and local wiring rules. If the national and local wiring rules permit, a GFCI Sub-Panel may be used to substitute the service disconnect, providing that it is located within the same parameters. Electrical Outlets, Switches and Devices: Based upon the national and local wiring rules that apply to your area, you must install your spa at the required minimum distance from all electrical outlets, switches, and devices. Bonding: Based upon the national and local wiring rules that apply to your area, the Control System Box located inside the equipment compartment of your spa must be bonded to all metal equipment, handrails, fixtures, enclosures, pipe, or conduit that are located within the maximum specified distances. The bonding is to be connected to the ground lug connector on the exterior surface of the Control System Box and all metal items previously described. Equipment Compartment Access: Make sure the spa is positioned so access to the equipment compartment will not be blocked. All other national and local rules that may be applicable. Water Drainage: Avoid installing the spa in a pit or low area where water may accumulate and damage the spa or its equipment. Choose a site where water will drain away from the spa. Your spa contains an equipment compartment, which houses all of its electrical components. Allowing water into the equipment compartment can damage the electronics, or may result in tripping your spa’s circuit breaker. For 120V~/60Hz, cord-connected spas, avoid plugging your spa into an electrical outlet that is susceptible to water. Likewise, avoid positioning the spa’s electrical cord as to allow water to enter the cord’s interrupter switch. Use of a Cover-Lifting Mechanism: If using a cover-lifting mechanism, allow up to 24” (.61m) of clearance behind the spa. Check with your authorized Bullfrog Spa dealer for the exact clearance requirements for the cover-lifting mechanism. General Guidelines: Select a structurally sound flat surface that is reasonably level to serve as your spa’s foundation. A foundation that shifts or settles may cause stress to the spa shell. The foundation that your spa rests on must have a weight bearing load capability of supporting the weight of your spa, its water, and the people using it. The maximum filled weight of a spa can be as much as 6,000 lbs (2,722 kg), plus the weight of the occupants that use the spa. If your spa’s pad is slightly sloped it will not affect the performance of the spa or its structure, however, there should be no dips, sags, or unevenness in the pad. Most patios are built to slope away from the house for drainage purposes. There should be no more than a ½” (1.27cm) slope in an 8‘ (2.44m) run. Recommended flooring materials include a concrete pad, concrete pavers or bricks, pea gravel, or crushed rock (1.5” [3.81cm] or more), or a reinforced deck. Additionally, your authorized Bullfrog Spa dealer should sell or recommend pre-formed spa pads. NOTE: Concrete foundations should be a minimum of 4” (10.16cm) thick and should be reinforced with either rebar or mesh. For electrical grounding purposes, the rebar or mesh should be attached to a bond wire. WARNING: To prevent serious damage to your spa, it is important that the spa foundation be supported by a flat, stable, and consistent subsurface. Bullfrog International highly recommends consulting a qualified, licensed Contractor prior to the installation of any spa foundation. For assistance, contact your authorized Bullfrog Spa dealer. WARNING: Because your spa pad must provide continuous support for the entire base of the spa, you should never level it with shims. If it is necessary to level your spa, make sure the entire spa’s structure is fully supported, both in the center as well as the outer edge. When leveling your spa, there should be no voids beneath it. Contact your authorized Bullfrog Spa dealer before making any leveling adjustments. Structural damage to the spa resulting from incorrect installation, placement on an inadequate foundation, or improper leveling will void the spa’s warranty. CAUTION: Consult a qualified Structural Engineer or Contractor before the spa is placed on an elevated structure or deck. Elevated Installations: Be certain your deck or elevated structure can support the maximum filled weight of your spa along with the total weight of occupants that use it. You must know the deck’s weight-bearing load capacity and ensure that it is greater than the maximum filled weight of your spa combined with the occupants using it or serious injury or structural damage could result. To find the weight bearing load requirement along with the maximum filled weight of your spa, refer to the Spa Technical Specifications Chart or contact an authorized Bullfrog Spa dealer. Hard-Surface Options (Decking and Flooring): In addition to selecting a hard surface that meets the recommended safety and maintenance criteria, consider textures and colors that will assist in enhancing the aesthetics of the area in which your spa will be installed. The decision to match, contrast, or blend the hard surface colors and textures with those of your spa should only be made after carefully researching your options. The cost of a Landscape Architect may be money well spent. Surrounding Landscape: The correct landscape around your spa will not only soften the adjacent hard surface areas, but will add life and much enjoyment to the environment. If the budget allows, you may want to consult with a Landscape Architect for expert advice. Spa-Side Accessories: Besides selecting the correct hard surfaces and landscape around your spa, the addition of the proper spa-side accessories will provide just the finishing touch that you are looking for. Spa steps, benches, towel racks, planter boxes, or an outdoor fireplace are just a few of the items that can be considered when accessorizing your spa. The installation of all spas must be in accordance with national and local wiring rules. Always have a licensed Electrician perform the electrical installation. Each Bullfrog Spa is manufactured and tested to a standard that provides maximum protection against electrical shock. Improper wiring may prevent the spa from operating safely which could result in electrical shock, injury or death. Improper wiring could also lead to a malfunction of the spa’s equipment and risk of fire. Bullfrog Spas are programmed with a GFCI trip test feature which ensures a GFCI breaker is properly installed. NOTE: THE ELECTRICAL INSTALLER MUST PERFORM THIS TEST AFTER WIRING THE SPA TO ENSURE PROPER SPA FUNCTION! If running GFCI trip test in a dry (non‐filled) spa, this test must be completed within 90 seconds to avoid running heater and pumps in dry condition. Voltage Definitions: When reading these instructions, the term 120V~ refers to the 110-120V~ range of voltage, while the 230V~ term refers to the 220-240 range of voltage. Wiring Connection: Appliance must be permanently connected to fixed wiring (except for U.S./CAN 120V~/60Hz Cord-Connected units). Electrical Service Wire Size and Type: The size of wire required to supply the spa with power is dependent upon the length of the electrical run and should only be determined by a licensed Electrician. Installation must be in accordance with all national and local wiring rules. All wiring must be copper to ensure adequate connections. Never use aluminum wire. Equipment Compartment Access: Make sure the spa is positioned so that access to the equipment compartment will not be blocked. Ground Fault Circuit Interrupters (GFCI): As per national and local wiring rules, all spas, hot tubs, and associated electrical components must be protected by a GFCI, either at the main breaker box or at the service disconnect. Step 1: Press Test on the GFCI breaker. The spa should stop operating. Step 2: After 30 seconds, press Reset and then verify that power has been restored to the spa. If the GFCI fails to operate in this manner you may have an electrical malfunction and be at risk of electrical shock. Should this occur, turn off the GFCI breaker to the spa and do not use the spa until the malfunction has been repaired by a licensed Electrician or your authorized Bullfrog Spa dealer. Dedicated Electrical Circuit Breaker: The electrical service to the spa must include a suitably rated switch or circuit breaker. Whether the spa is a 120V~/60Hz Cord-Connected spa or a 120V~/60Hz, 230V~/60Hz or 230V~/50Hz Permanently-Connected spa, it is required that the circuit breaker that supplies power to the spa is dedicated and does not supply power to any other electrical outlet, device or item. Electrical Access Conduit: Each Bullfrog Spa is manufactured with an electrical access conduit which allows the electrical supply wires to be connected to the spa’s Control System Box. This access conduit is located in the front-left corner (when you are facing the spa’s control pad) of the spa. 12V Maximum on Live Parts: Live parts accessible to the user must not exceed 12V. 230V~/60Hz 30A Conversion Option: If there is not 50A of electrical service available, an authorized Bullfrog Spa dealer or Electrician can easily convert the spa to operate on 30A (conversion instructions are located inside the Control System Box). Please be aware, spas converted to 30A are only capable of heating the water when pump 1 is in low-speed, not high-speed. This heating limitation is acceptable in most climates as well as indoor installations. 230V~/50Hz Conversion Options: If there is not 32A of electrical service available, an authorized Bullfrog Spa dealer or an Electrician can easily convert the spa to operate on either a single or dual 16A x2 service. Conversion instructions for the following configurations are located inside the Control System Box of the spa. 230V~/50Hz 16A Single Service: Please be aware, spas converted to 16A are only capable of heating the water when the circulation pump is in low-speed, not high-speed. This heating limitation is acceptable in most climates as well as indoor installations. 230V~/50Hz 16A, 16A Dual Service: Operation of spa is identical to single 32A service except that service is divided into two separate 16A services. 400V~/50Hz 16A x 30, 3N Service: Operation of spa is identical to 32A service is divided into three separate 16A services with three separate neutrals. New Installations and Re-Installations: These instructions apply to both new installations and re-installations which may occur when a spa is moved or relocated to a new location. 120V~/60Hz Cord-Connected Installation: This option is only applicable if the spa was ordered from the factory with both a 120V~/60Hz pump and a 120V~/60Hz power cord. The spa’s Safety Approval Listing and warranty will be void, and the spa may be unsafe if an aftermarket power cord is installed on the spa. Cord-Connected spas have already been converted to operate on 120V~/60Hz power at the factory and come with approximately 15‘ (4.57m) of useable power cord (the maximum length allowed) attached to the spa. This factory installed power cord comes with a built-in GFCI breaker. IMPORTANT: Cordage shall be replaced only with a special cordage assembly available from the manufacturer, its service agent, or similarly qualified persons in order to avoid a hazard. Cord-Connected 120V~/60Hz spas require that the factory installed power cord, with its built-in GFCI breaker be connected to a 120V~/60Hz, 15A (20A for pre-2013 spas), Single-Phase, dedicated, grounded circuit and power outlet. It is important that this circuit is dedicated (not being used by any other electrical appliance) or your spa may not function properly. For safety purposes, the location of the power outlet (where the spa is to be connected) can be no closer than the minimum allowable distance specified by the national and local wiring rules in your area. Installation must be in accordance with all national and local wiring rules. Fill Spa before Powering on: Always fill the spa to the recommended level before turning on the power (see Pre-fill Checklist). Residual Current Device: The appliance should be supplied through a residual current device with a rated tripping current not exceeding 30mA. WARNING: Never use an extension cord. Bullfrog International, LC does not allow the use of an extension cord under any possible situation. The use of an extension cord voids any warranty on the spa equipment and also exposes the consumer to additional risk of fire, electrical shock, injury, or death. All spas not listed as voltage convertable are equipped with (model BFBP20) 230V~/60Hz equipment. This equipment only operates on a 230V~/60Hz electrical service. Permanently-Connected 230V~/60Hz spas require a GFCI protected, 4-wire (Line 1, Line 2, Neutral and Ground), 230V~/60Hz, 50A, Single-Phase, dedicated electrical circuit. It is required that this circuit is dedicated (not being used by any other electrical appliance) or the spa may not function properly. Installation must be in accordance with all national and local wiring rules. Spas are equipped with 230V~/50Hz pumps and 230V~/50Hz equipment (Model BP21). This 230V~/50Hz equipment allows the spa to operate only on a 230V~/50Hz electrical service. Permanently-Connected 230V~/50Hz spas require aGFCI protected, 230V~/50Hz, 32A Single-Service, 16A Single-Service, or 16A – 16A Dual-Service 400V 16A x 30, 3N, dedicated electrical circuit. It is important that this circuit is dedicated (not being used by any other electrical appliance) or the spa may not function properly. 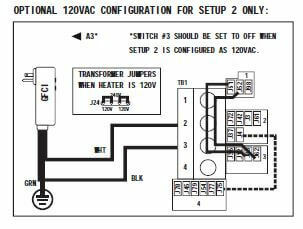 For specific conversion instructions, please refer to the system wiring diagram inside the Control System Box (located in the spa’s equipment compartment). Installation must be in accordance with all national and local wiring rules. See Electrical Conduit Diagram for A Series & R Series Spas before proceeding. IMPORTANT: Installation must be in accordance with all national and local wiring rules and performed by a licensed Electrician. Step 2: Determine the conduit diameter and drill a hole that is properly sized for the conduit (¾” conduit drill 1-1/8” hole, 1” conduit drill 1-3/8” hole). Use the + as the locator for the center of the hole. The hole saw must go through two layers of plastic. There is a 1” space between both layers. Step 3: Push the conduit through the hole until it comes out into the equipment area. Step 5: Connect the conduit to the Control System Box using a Liquid Tight Connector. Step 6: Run the required wires through the conduit to the Control System Box. Step 7: Connect the electrical service wires to the terminal block located in the Control System Box. Step 8: Replace the Control System Box faceplate and the equipment compartment door. The electrical hook-up is complete. Step 9: Perform GFCI trip test. See GFCI trip test procedure.